When it comes to hiring one of the many roofing contractors in Rochester Minnesota, you can depend on Ryan Roofing of Rochester to provide the best possible service and products. We’re the best rated and reviewed GAF roofing contractor in Rochester. There are many reasons to choose us for your roofing needs. We offer roof repair, shingles, metal roofing and other services like skylights and ventilation. While other roofing contractors run from their work after the job is finished you can depend on Ryan’s to be around for many years to come. What makes us even better is the lifetime warranty provided on the shingles we install. As a GAF Master Elite roofing contractor we’re allowed to bundle our shingles with a protective lifetime warranty that isn’t offered by non-Master Elite contractors. Give Ryan Roofing of Rochester a call today, and discover why we’re the Rochester’s best roofing contractor. 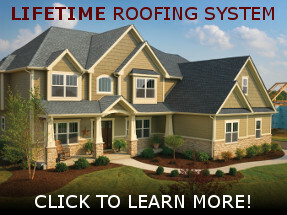 We offer a wide range of products, for both our shingle & metal roof options. We’re also a supplier and installer of skylights for both residential and commercial properties. Below are some of the products we work with. You can also view one of our product brochures below.